Offer valid only for UAE residents and UAE Nationals. Passport/residency visa must be presented upon check in. 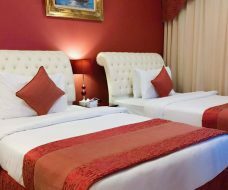 Please note that all room rates are subject to 10% service charge, 6% tourism fee, 4% municipality fee and value added tax.